Umbrella Revolution started in Admiralty last night, so I was advised to stay away from Central and Admiralty for the time being. I cancelled plans to go to Wan Chai, and went south to watch a movie at Cyberport instead. I watched The Maze Runner in Cyberport Arcade and went to the food court afterwards. 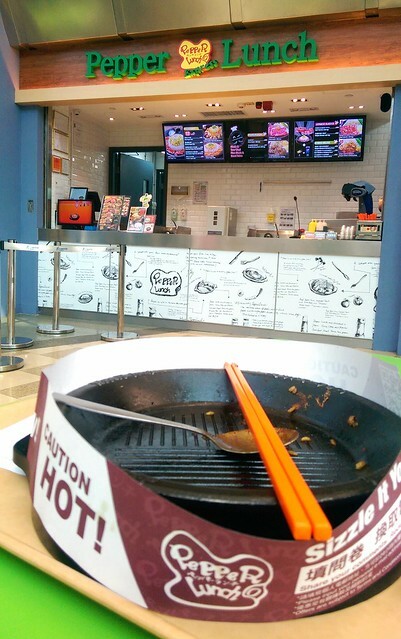 I noticed there was a Pepper Lunch, which serves “DIY” Japanese teppanyaki! I’ve only tried Pepper Lunch USA in Milpitas, and wanted to compare it to Pepper Lunch in Asia. As soon as I looked at the menu, I noticed it was entirely different! There were way more choices to pick from! 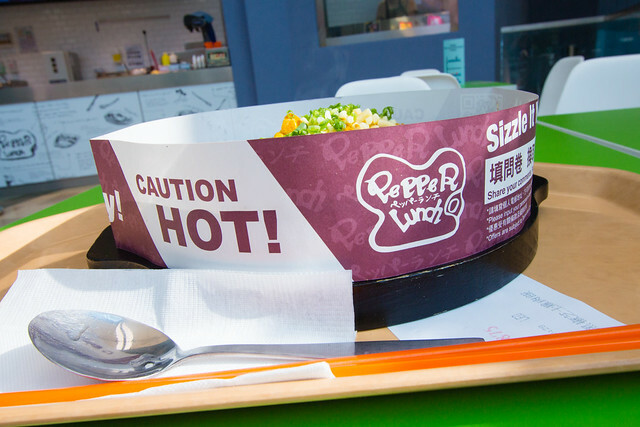 I got the “Curry Chicken Pepper Rice with Cheese” for $49 HKD. Look at that mountain of cheese!!!!! 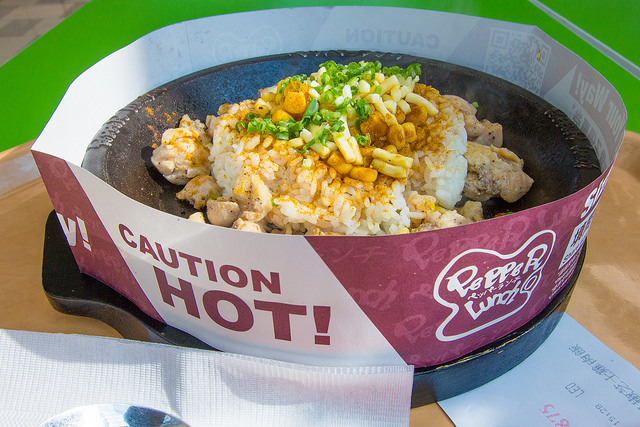 Pepper Lunch is a DIY Japanese teppanyaki, so you get to mix your own teppanyaki! 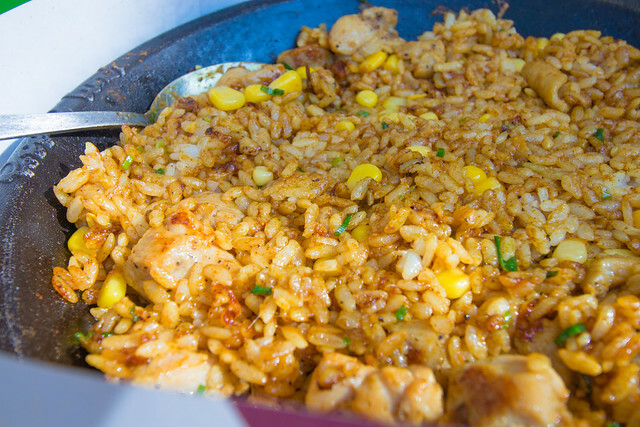 There’s also a selection of sauces on the counter that you can use to add to your griddle. My dish was cheesy and all the food were glued together. After mixing well, I laid it flat to make the rice crispier. I was super hungry (it was 3:30 in the afternoon) and demolished the entire dish! Verdict- Pepper Lunch in Asia beats Pepper Lunch USA, hands down! 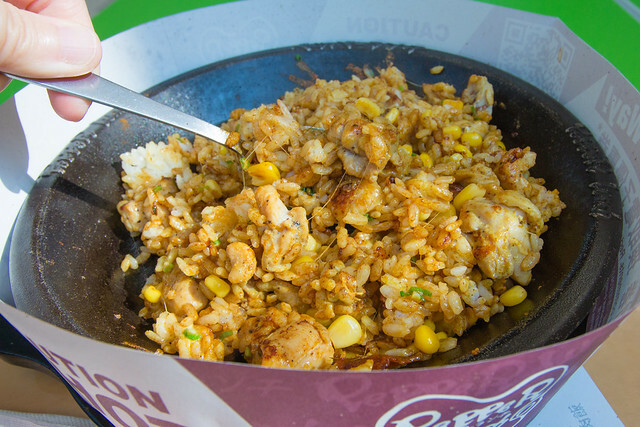 If you’re ever in Asia, try Pepper Lunch! They’ve got several locations throughout Hong Kong.